At this point, it’s a cliché to say that Aquaman is a boring superhero. Sure, his main power involves communicating with sea creatures, but that movie Blackfish made it pretty clear that fish should not be fucked with. It seems like most people’s impression of Aquaman comes from the Super Friends show, which stopped airing almost 30 years ago, and writers have spent the decades since then trying to make him seem cool. Batman recovered from the ‘60s show and the Joel Schumacher movies, so let’s all just get on the same page and agree that Aquaman is fine. 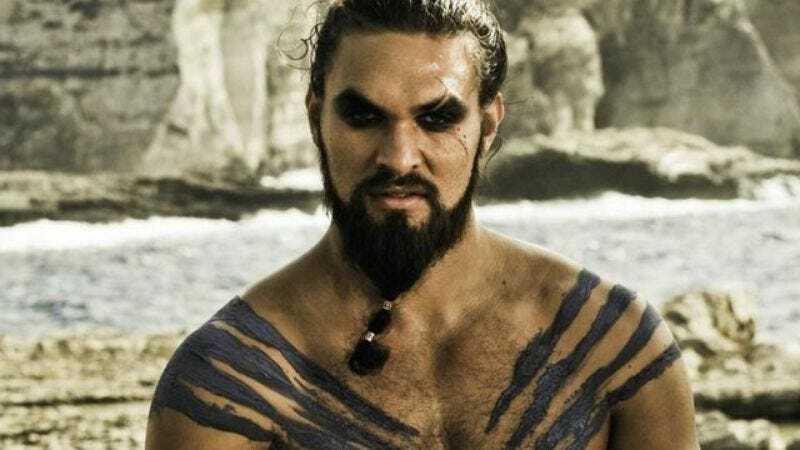 Also, he’s apparently going to be played by Jason Momoa now, and we know what happens when people piss off Khal Drogo. This report comes from HitFix, which is ready to declare with absolute certainty that Momoa will appear in the upcoming legal drama Batman V. Superman as the king of Atlantis, with Director Zack Snyder “[finalizing] his designs” and hoping to film his scenes as soon as possible. Aquaman will apparently be introduced as someone furious with Superman over the damage his final battle in Man Of Steel caused to the Earth’s oceans. That sounds like a very Aquaman-y thing to do, but DC and Warner Bros. still haven’t officially confirmed anything. Also, HitFix doesn’t cite “sources close to the project” or any of the other usual things people say when they’re reporting on a crazy rumor, so it’s very possible that this could all be fake. However, Jason Momoa has been rumored to appear as someone in the movie since last year, so maybe it is true. We really don’t know, but maybe if we had someone here who could telepathically communicate with fish, they’d be able to find out.